I thought long and hard before writing yesterday’s article. Saturday’s match left me as angry, bemused, disappointed and concerned as I am sure it did every other Brentford supporter. The easy option would have been to give in to my emotions and vent my spleen and write something highly negative and critical about what is currently happening both on and off the pitch at Griffin Park. That would most certainly have been the easy option and knee jerk reaction but I resisted the temptation, not without some difficulty, and instead I wrote the quickest and shortest article of my life, only twenty-eight words in length, that took me all of thirty seconds to compose and yet it was read by more people than anything else that I have written for the last few months – indeed since news of the Mark Warburton crisis broke in February! Maybe there is a lesson in that fact for me too! Perhaps less is more and the least time I take and the shorter the article the more popular it will be! Maybe that is something for me to ponder and deliberate about for the future! Believe me anything that reduces the amount of time I generally spend most days thinking through, researching, analysing and finally writing each article would be greatly welcomed by me! Very disappointing. My expectations have been adjusted to staying up. Terrible ref. Ugly opponents. Vibe looks like he might be a god signing. Clarke may develop into something useful. Button was outstanding. At least the pitch gave a good account of itself. Totally inept from all involved perhaps bar Button, and it was a game with no redeeming features at all. Good to see all the new coaches are working their magic! Maybe the sleep coach is doing his thing – most of the players and crowd seemed to be having a nap in a shambolic first half where we could have been four down. As poor a midfield quartet as I’ve seen since the days of Butcher. This is exactly what happens when good players leave, to be replaced by inadequate cover from lower levels across Europe. There are huge questions over the competency of Marinus Dijkhuizen with his big decisions all going badly wrong for him. We have huge problems – and it is time to face facts. That is fairly close to what I might well have written immediately after the match if I had given way to temptation and it is quite natural to let off steam after what was, in truth, a totally inept performance but, as I will say later, I think it might well be more reasonable, fair, accurate and beneficial if we wait for a little while longer before we come to any firm decision and pronounce our verdict. Marinus has to work with what he is given and on yesterday’s show that will not be enough. The game reminded me of a League Two performance when MK Dons beat us 3-0 at Griffin Park. On that day a faster and stronger team made us look like a development squad. We are simply not at Championship level at the moment. I fear for the team with two tough northern away days coming up. Well Greville sometimes one word is too many and a thousand not enough. I was hoping for some comforting words today to cheer me up! Did you ghost write Len Shackleton’s chapter on football directors, in his autobiography? No I didn’t, I am not nearly that old and plead not guilty to writing that famous blank page which provided chapter and verse on Shackleton’s opinion on the average football director’s knowledge of the game. Come on Greville I don’t expect sulky heads-dropped performances from the players and I certainly don’t expect one from our mercurial correspondent. I expect you in early tomorrow and want those fingers clattering away at the keyboard until there’s smoke coming out of them. Keep the faith. Well Dave, I hope you are feeling a bit better now. Greville, you are right. Least said soonest forgotton, as my old Granny use to say.One observation from me is that, despite what many think, we miss Dougie big time. Or at least Toums does. He is a mere shadow of the player who played alongside Douglas. The worrying thing from my point of view is that the togetherness that was apparent under Warbs has disappeared out of the window. Maybe that should not surprise me as the massive changes since May seem to have torn the place apart. It is still very early days, but nevertheless the warning signs are there. My initial thoughts on Marinus are not totally positive, but I’ll be the first to admit he has been dealt a tough hand up until now. As I said, it is still very early days, but my Bournemouth mate who took a 20/1 bet on us being relegated is smiling at the moment. He took this bet as he was convinced that the Bees totally lost the plot in February and will pay a heavy price for their stupidity. Personally I think we will still finish around midtable, but the doubts are now creeping in. I am from a family that goes back over a hundred years supporting Brentford, we all live in Kettering these days but travel as much as possible to Griffin Park when we can afford to. Me, Dad and my sons were there yesterday and I can’t help feeling that Marinus hasn’t figured his system out yet for the players he has. Diagouraga will never be a centre midfield distributor in a 4-3-3 formation, Warbs knew this, I think we all know McCormack is better equipped for that role all day long. However, what I really liked was that he spotted it and had no hesitation in taking him off, just a shame we were 2-0 down before he acted. As soon as we switched to 4-4-2 Brentford were transformed and Vibe came alive – he needs to be in the middle not out on the wing, he has a great attitude, works hard and produced some fantastic flick-ons and clinical finishing – he will be a great buy! Sadly, my view is that Brentford look totally disorganised this year and lack pace in transistion to attack, Hoff looks out of his depth and lacked any support. I liked Colin a lot, he looked composed, quick and with good distribution – an upgrade in my opinion, so I think Benham and his statto’s are getting it right on the whole. I just wish we had more time to get this system sorted and not have sold our only natural left winger, which I put money on will cost us big time against Leeds. Anyway, fingers crossed for Jota, McEachran, Judge & Vibe – now there’s a Championship attacking front line I cant wait to see in action. Will we go down? No, not with these all fit, only if Marinus takes too long to figure out 4-3-1-2 is the only system he can play at the moment and I would shove Judge in the middle to create the lovely passing moves we saw at Griffin Park last year. Up the Bees! There are some conflicting opinions there and the message boards and social media have also been red hot with vituperative comments, in-depth questioning of our approach and expressions of doom and gloom leavened with some isolated pleas for more patience and understanding. We pride ourselves in thinking outside the box but do we we have enough basic football experience and contacts in the boardroom and behind the scenes. I didn’t recognise my team in the first half. There was no organisation and we were poor on the ball. We are not the strongest and most physical side so if you are bad on the ball then we have no chance. But I know we have to be patient because some of our players are only having their second game in the Championship. It is difficult to adapt but we need to get used to the tempo because players coming from Germany and Holland are not ready. We have had too many changes in the preseason and now have had some big injuries to players. We also have a bench with no strikers on it and the side looks to be lacking leadership. Hopefully we will be able to bring one or two more players in before the window closes. He actually expressed himself far more clearly and cogently than any supporter and given his position and insider’s view, it is obvious that he feels that matters are serious and need immediate attention. Perhaps he has been more far more open and honest than his superiors would have liked! I was criticised for about a year at Exeter for not having any passion, because they expected something different. I live this. I’m consumed by it. Try thinking about a really important decision and screaming at the same time. It doesn’t work, does it? Keep quiet, think clearly. I’m taking everything out of my mind and concentrating on one big decision, the thirty seconds out of ninety minutes when I have to get everything right. 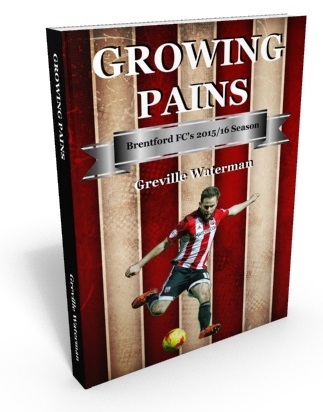 There are a lot of questions that still need to be asked about the situation at Brentford, both on and off the pitch, and quite frankly there are still very few answers yet to be had. The transfer window closes tomorrow night and we need to see what strengthening has taken place before that time, given the two exciting arrivals today, and indeed if we lose any more of our assets too, and we should not discount that possibility either. Of course I am concerned. I had hoped that with our new mould-breaking strategy and increased investment we would progress even from last season’s miraculous achievements but I remain fully realistic and aware of the time it takes for new systems, approaches and, indeed, players to settle down and bed in ,and we now have a welcome and much needed gap of a fortnight before our next game where a lot of hard work will doubtless be carried out. Let us see where we are at the beginning of October when we go into the next international break and I am sure that the situation will look a lot clearer by that time.